So we decided to visit Biru Biru Cafe for the fist time. 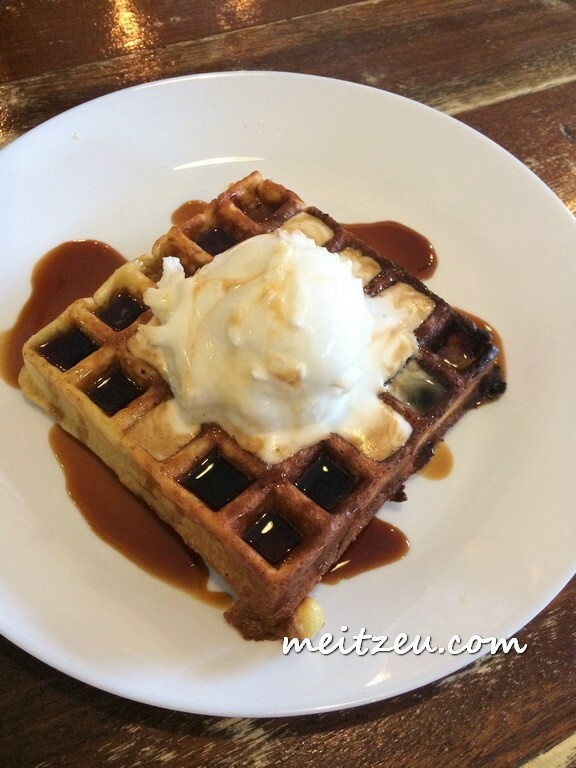 This is one of the recommended waffle in Biru Biru Cafe! 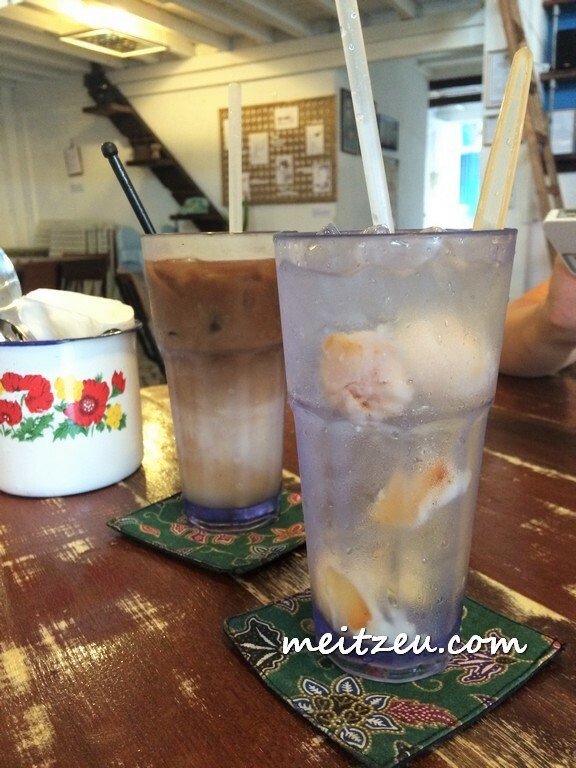 I like the taste with home made coconut ice cream. As for the waffle, Biru Biru might think of not over cook with it, it was too dried when we had it. 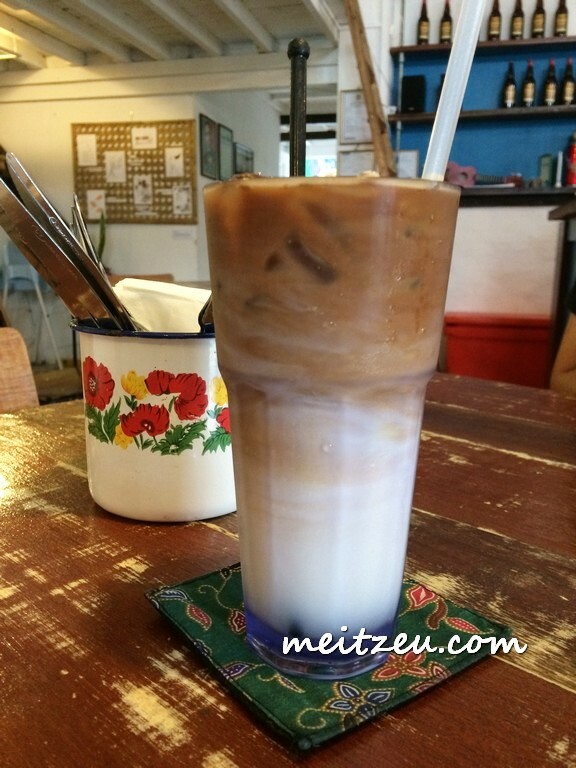 They also using Gula Melaka as the syrup, maybe they can opt for the syrup at the side and let customer add in according to preference. I guess it will taste better this way. A bit disappointed with the fact that latte was too sweet and I think they have so much to improve in their coffee preparation. In the other hand, Lychee Soda was normal. Lychee + Soda?